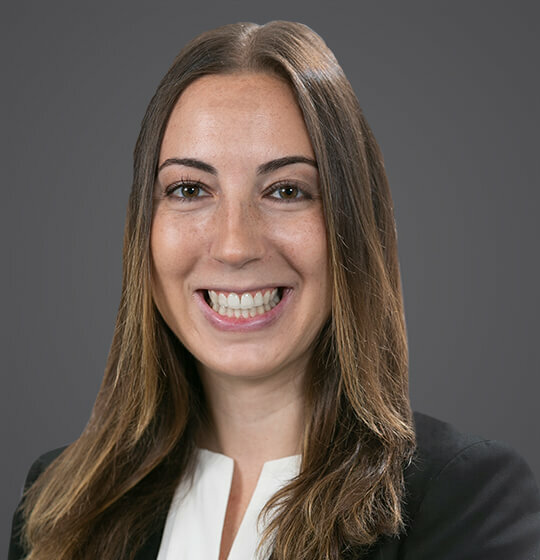 Jamie Haar is an Associate in Ogletree Deakins’ New York City office. Ms. Haar’s practice focuses on representing employers in labor and employment matters including discrimination, harassment, retaliation, wrongful termination, equal pay, and wage and hour claims. Ms. Haar has experience representing clients in a wide array of industries in labor and employment litigation before federal, state and local courts, agencies, mediators, and arbitrators. Ms. Haar counsels and advises clients on compliance with federal, state, and city anti-discrimination laws and wage and hour laws as well as keeps clients up to date on new developments in the law. Ms. Haar has particular experience in counseling clients on best practices for structuring payment systems for their employees, record keeping and notice obligations, and the nuances of the Hospitality Industry Wage Order. Ms. Haar also has extensive experience advising and defending clients in matters involving access for individuals with disabilities under Title III of the Americans with Disabilities Act – both architectural issues and website accessibility. October 10, 2018 - SHRM Online - "New York Issues Final Guidance on Sexual-Harassment Policies"
January 2017 - For the Defense - "From the Office to Cyberspace: Workplace Violence in the Twenty-First Century"
Spring 2014 - Hofstra Lab. & Emp. L.J., Vol. 31 - "Women’s Work: Economic Security in the Domestic Violence Context"